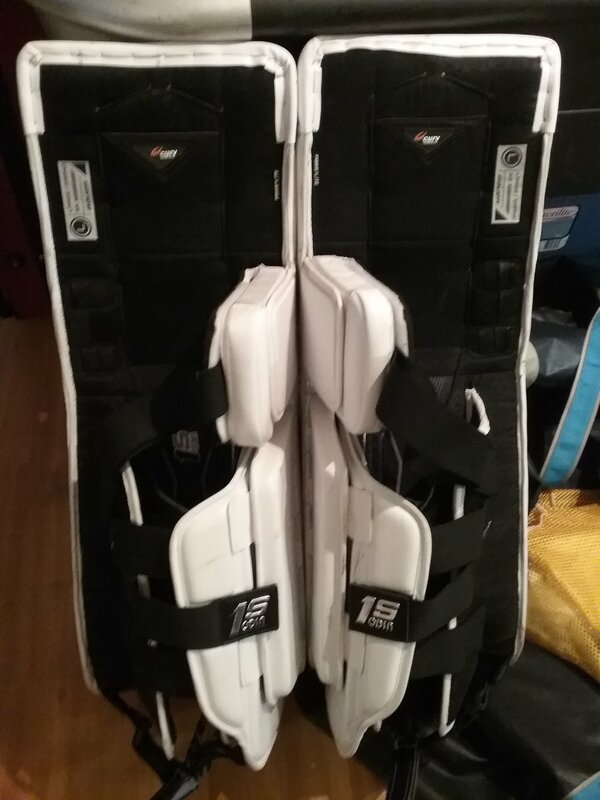 The pads are 2s pads labelled 1s as them were made prior to the 2s line coming out. 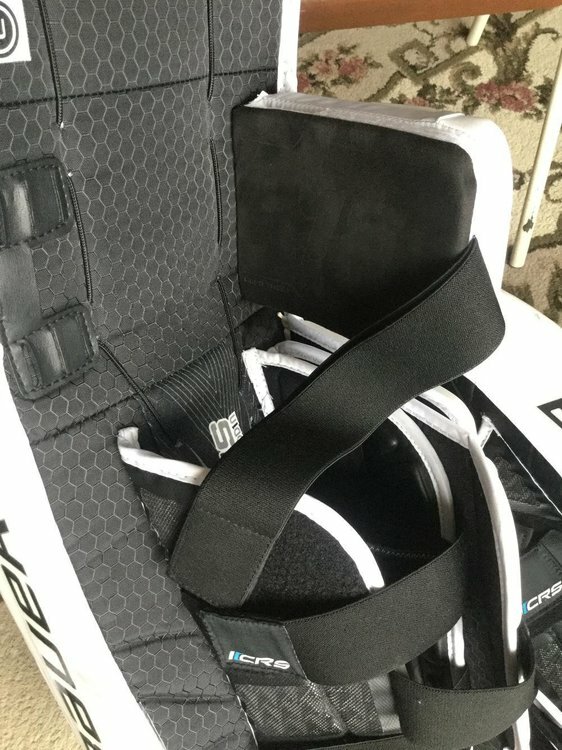 There is no damage, rips or labels coming off them. The have Pro laces attached to them. Zero signs of wear also. 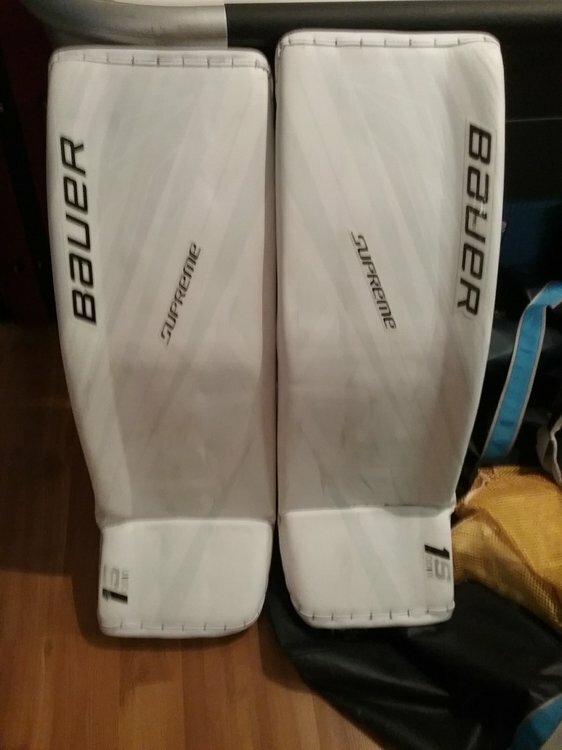 I cleaned the puck marks off them. The are size large. 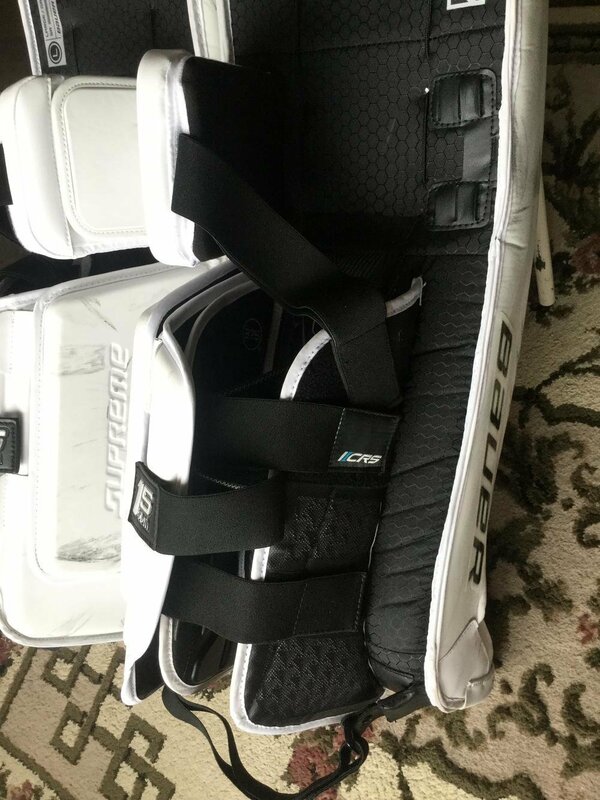 Asking $850 Cnd plus shipping for them but I would prefer to trade them for Optik gear 1st.